If a third-cycle place is to be financed by a doctoral studentship, notification appears for three weeks on the department’s website and/or nationally or internationally. Apply for the place in accordance with the notification. In order to be admitted to a third-cycle place you must meet both general and specific requirements and have the ability to benefit from the programme. Interim regulation: If you met the general entry requirements before 1 July 2007, you will continue to do so until 30 June 2015. Specific entry requirements may include knowledge obtained from first or second-cycle courses, specific vocational education and training, and requisite language proficiency or other conditions. If you earned a degree abroad, you may be admitted to third-cycle studies at HU only if you possess English proficiency equivalent to having passed the TOEFL test or an English entrance seminar. The department is in charge of the admissions process. The department selects applicants and arranges an entrance seminar for those who are ranked at the top. The seminar is an opportunity for you to present your project and individual study plan. Planning of your progra mme length and third-cycle courses, etc., is also discussed at the seminar. After you have been admitted, you may apply for credit transfer of third-cycle courses you have passed at another university or institution of higher learning. Credits may also be transferred for professional or educational knowledge or proficiency that you have acquired. Credit transfer can be granted for second-cycle equivalents of the basic courses in HU’s third-cycle programme. 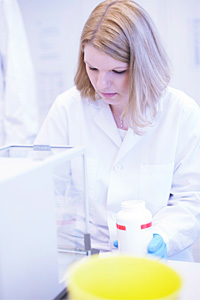 Credits cannot be transferred from first-cycle studies in preparation for research. If a fundamental question is involved, the FUS can turn the matter over to the Research Programmes Board. If you have been admitted to third-cycle studies at another Swedish institution of higher learning, you can transfer directly to LiU and receive your degree here. If you have been admitted to pursue a licentiate degree, you can apply at your licentiate seminar for admission to pursue a doctoral degree. A mid-way report is prepared for inclusion at the entrance seminar for further third-cycle studies. If you have been admitted to pursue a doctoral degree, you may complete your third-cycle studies with a licentiate degree after having obtained 120 credits.